Would it be possible to bypass this Wifi restriction on the 6D? Re: Would it be possible to bypass this Wifi restriction on the 6D? 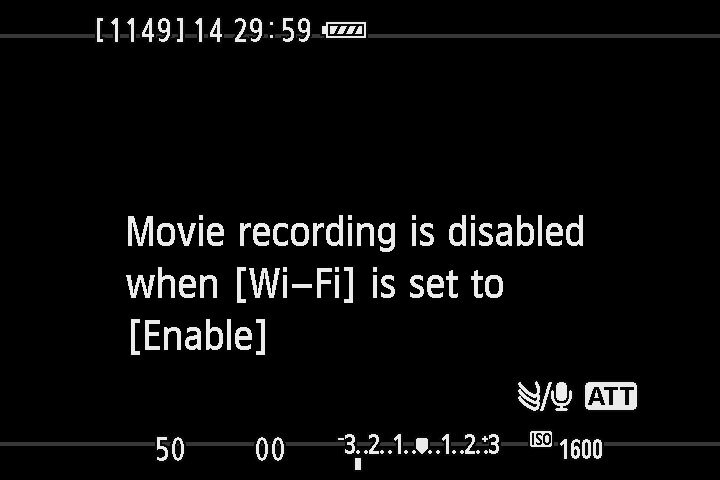 About the movie recording not working with wifi enabled. I'm not sure if it is true but it makes sense to me, but I remember someone mentioning here on the forum that this feature probably doesn't work because of a shared DMA channel between WI-FI and video recording hardware. So only one of them can be used at the same time, which means the hardware is simply holding the feature back and not the firmware/software. But I do wonder if it is possible to enable somehow video recording through wi-fi, by after the start signal, the camera shuts down the wi-fi connection and goes recording and the enables wi-fi after recording again.